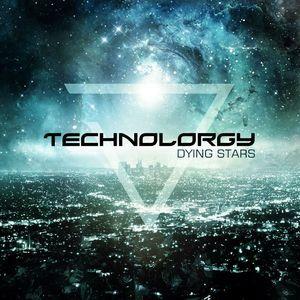 Content: This album by Technolorgy was preceded by the rather promising “Crestfallen”-EP. This Greek duo already released a debut-album (cf. “Endtimes In Vogue”), which was a selection of songs written over several years. “Dying Stars” might be considered as their real debut opus, but it also reveals an evolution in sound. The earlier influences clearly explored dark-electronic fields while the new songs are more into a kind of powerful electro-pop style. “Dying Stars” is not a pure synth-pop release but rather a sonic bridge between their darker ‘old’ influences and pop-orientated songs. The songs are well-crafted reflecting some real maturity in writing. After a rather intro-like opener we next discover a styled composition carried by a solid kick and melodic sequences. The vocals are rather clear and powerful. “Light In Darkness” moves on a similar way while mixing elements of future-pop with a somewhat techno-driven lead. “Crestfallen” confirms their approach to mix different elements together while holding on to the electro-pop basis this production has been made with. This is a great song, which reveals melodic passages, trance-minded arrangements and emotionally loaded vocals. 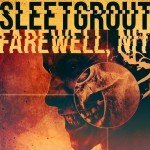 It sounds a bit like the production of the vocals on “Crestfallen” has been accomplished a different way. From a personal point of view it’s the single song on, which the vocals can’t totally convince me. Speaking of vocals, the next song up (cf. “Waste Of Skin”) features female guest vocals. This way we get a nice duo running through another pumping pop song. The album progressively evolves towards a few captivating songs, which remain always well-crafted and driven by melodic sequences. The somewhat softer-like “Damsel In Distress” is one of the best cuts for its cool tune and great sound arrangements. A similar formula can be heard at “Cliche Catharsis”, which could be a potential hit. This song is back into power again while revealing a carrying chorus. I here fully enjoyed the vocals, which are clear, but rough. An interesting element running through the work concerns the origins of the band’s singer Dav1d. All the songs have been sung in English expect “Xana” in Greek language and “23” sung in Russian. “23” is driven by a kind of tech-pop approach. 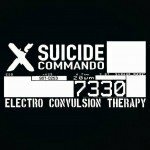 A very last and essential element about the CD format consists of the three bonus remixes by Faderhead, Rotersand and Cygnosic. Conclusion: This album reveals a rather successful conversion from an early dark-electro minded formation into powerful electro-pop music. This way it also enlarge the sound horizon of DWA, which is mainly renown for its dark-electro and EBM taste. Best songs: “Cliche Catharsis”, “Damsel In Distress”, “Crestfallen”, “Separate Ways – Worlds Apart”, “Waste Of Skin”.